Evident.io, a leader in the field of public cloud services infrastructure protection, has been acquired by Palo Alto Networks for $300 million in cash. Palo Alto Networks is already a leader in cloud security. The company has developed its VM-Series of virtualized next-gen firewalls which provide in line cloud security, Traps provides host-based protection, and API-based security covers public cloud services infrastructure. Evident.io is also a leader in the field of cloud security. The Evident Security Platform allows organizations to proactively manage cloud security risk, reduce the attack surface, and improve security posture. The platform continuously monitors Azure and AWS deployments, assesses security risks, and provides expert guidance on remediation. Palo Alto believes that the acquisition of a leader in the field of public cloud services infrastructure protection will enable the company to strengthen its position and extend its leadership in the field. Evident.io solutions will be integrated into the Palo Alto range and will allow customers to use a single approach to continuous monitoring, cloud storage security, validation of compliance, and reporting. 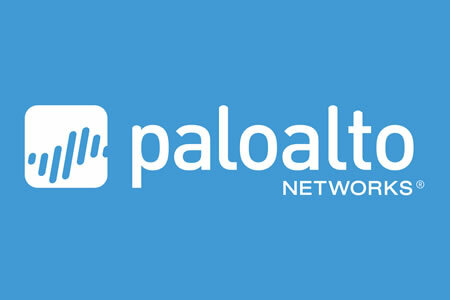 “We expect customers from both Evident.io and Palo Alto Networks to benefit from Evident as part of our platform and to experience a smooth transition,” said Mark McLaughlin, Palo Alto Networks CEO. As businesses become more cloud centric, they need security and prevention solutions that have been specifically developed for the cloud. Legacy security tools that were developed for data centers do not tend to work well in the public cloud. Ensuring compliance and validating security requires manual checks and security audits to be performed, which are time consuming and prone to errors. Businesses are increasingly looking for tools that can automate the process of securing public cloud workloads. The acquisition will help Palo Alto provide those solutions to its customers. Palo Alto claims compliance teams, DevOps, and security will be able to use its platform to deploy new cloud applications more rapidly, simplify developer and security operations without having to sacrifice security, and conduct continuous checks of compliance for all cloud deployments. “We founded Evident.io to secure our customers’ public cloud infrastructure and services without slowing down innovation. The combined capabilities of Evident.io and Palo Alto Networks will provide customers the confidence they need to run better, faster, and more securely in the cloud,” said Tim Prendergast, co-founder and CEO of Evident.io.